Keith Green Construction specializes in leak investigation and dry rot repair; a problem that threatens many Portland homeowners who have relied on sub-standard craftsmanship. 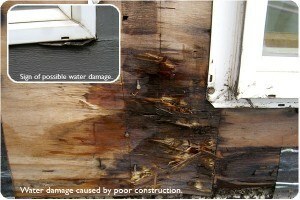 Dry rot can become a financial and time burden if left unchecked. Keith Green strongly advocates “doing the job right the first time,” which has garnered his 15 years of success. Removes and repairs dry rot problems of any kind within your home. Quality leak repair assessments and estimates ensure that your home receives the care it needs. Keith is willing to innovate a dry rot repair solution that fits your budget and needs. Assessments, estimates and dry rot repairs are timely and fully accountable. To find out more about our Portland leak repair services, please contact us today. To find out more about our Portland roof repair services, please contact us today.